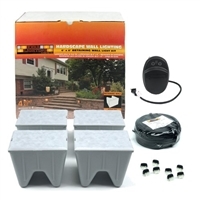 Soldner Undercap LED Landscape Lights Will Enlighten Your Patio or Other Outdoor Living Space The Wallter light creates the perfect lighting under wall caps, pillar caps and steps. 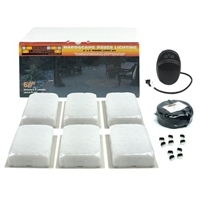 These lights can be added to the Wallter LED Kit to extend the lighted area of surface. Available in bronze, gray and tan.